I still remember falling in love with the first generation Discovery. Its boxy yet elegant lines, stadium seating, and alpine windows seemed to beckon me towards the driver’s seat with a promise of adventure, and there was no question of whether or not it had the capability to deliver on it. After all, this was an era when Camel Trophy trucks were still slogging their way through the jungles, and off-road capability still meant solid axles and loads of articulation, but over the years things have changed. With every successive generation of Discovery the refinements have become more luxurious, the systems more complex, and the target audience undeniably more affluent, yet each has managed to be more capable than the last, all while preserving the core nature and appearance of the Discovery. But when the torch was passed from the LR4 to the Discovery 5, many of us wondered if Land Rover had gone too far. The new SUV had lost its iconic square profile and body on frame design, exchanged for an aluminum unibody with an appearance echoing the Range Rover and Range Rover Sport. 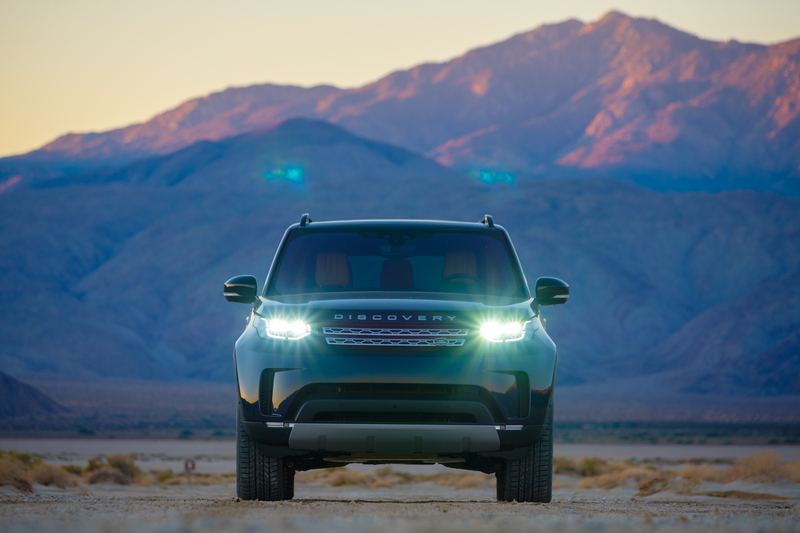 For many, this move represented the death of the Discovery, but with a rear locker, over 11 inches of ground clearance, and an optional diesel motor, we weren’t so sure. 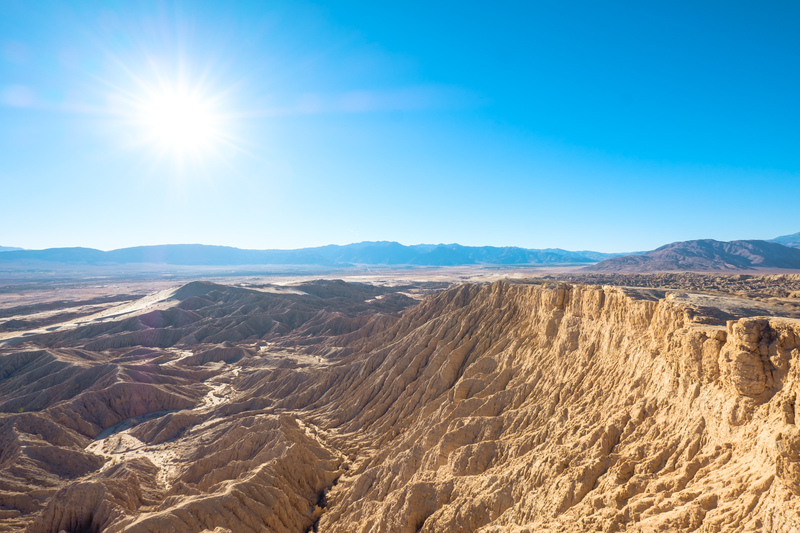 To find out if the Discovery was indeed dead, or rather alive and well, we filled one with camp gear, loaded up our cooler, and plotted a course for Anza Borrego. 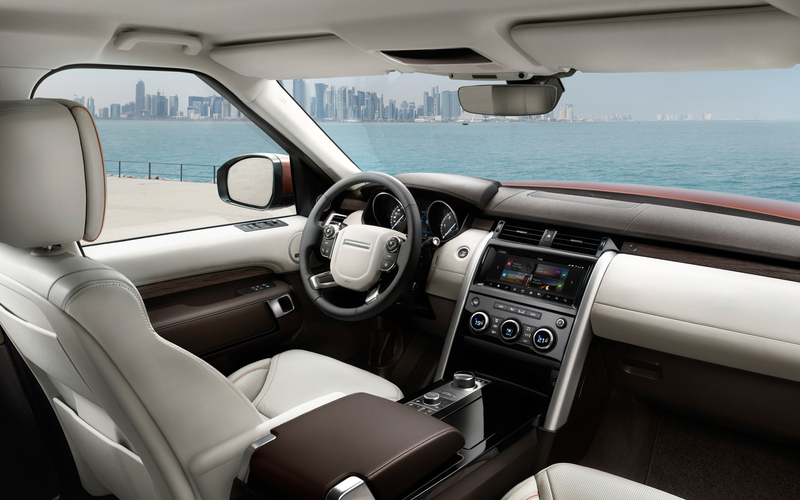 Land Rovers have always blurred the lines between luxury motoring and four-wheel drive capability, but over the past decade, their interior appointments have rapidly passed from exquisite to encroaching on decadent. 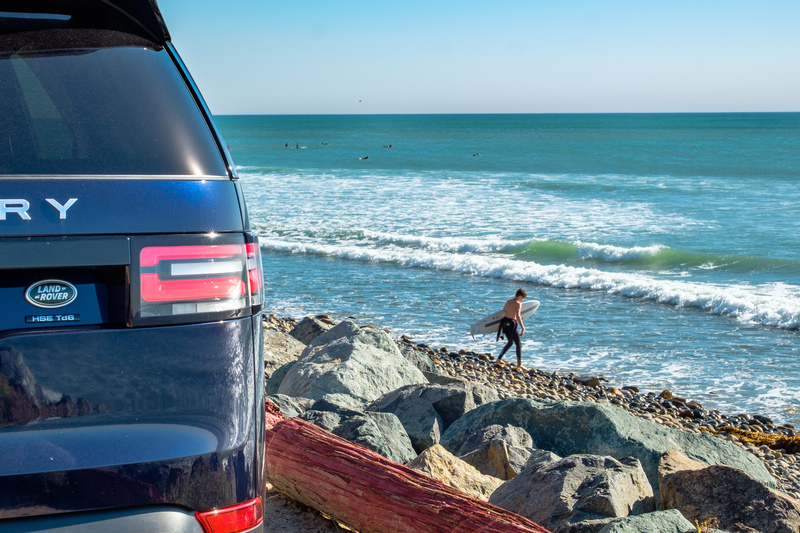 As I cruised down the California coast in our Lorie Blue Discovery HSE Luxury, I could hardly believe it was even related to the cloth seated D1 I had fallen for years before. The wood-trimmed doors and dash looked more at home in a private jet than a four-wheel drive, as did the heads-up display now reflecting my speed and cruise control settings on the windshield. Glancing toward the center console, an infotainment system gleamed with every feature and electronic goodie you could imagine. 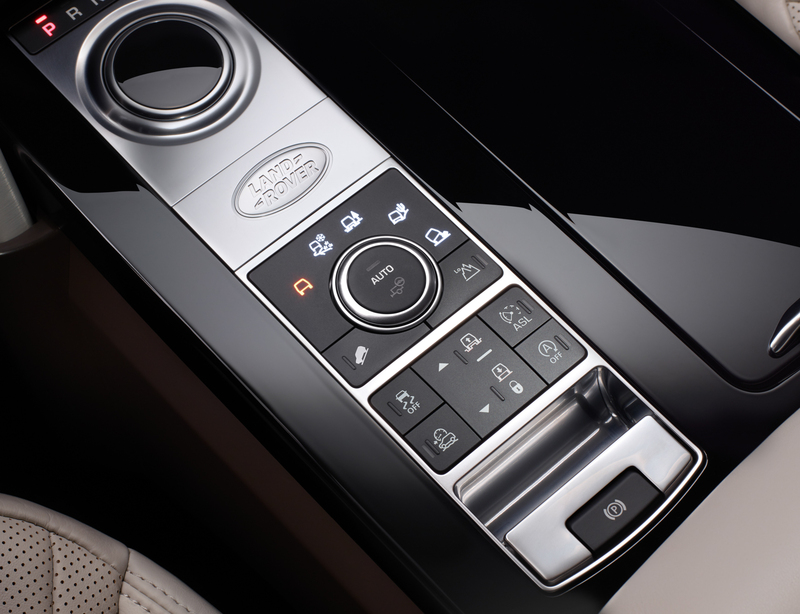 Cameras, technical displays, radio and climate controls, and even smartphone and tablet pairing are available, enabling you to control features like seat folding at the touch of a button. Before long, Los Angeles traffic had descended upon me, and I’d be lying if I said it didn’t stress me out. I don’t like cities anyway, especially with traffic. I decided to turn on the air-conditioned seats in order to provide a little relief, and while I was at it a massage seemed in order. Why not, right? Three clicks of the infotainment system and the seats were working out those knots as fast as the California traffic could induce them. When a Subaru suddenly cut me off, the Discovery’s adaptive cruise control was braking before I even had the chance, smoothly reducing speed until my preset distance of a few car lengths was restored. Any drifting in my lane would activate the lane departure warnings, causing the steering to automatically correct drift. Usually, this would have annoyed me, but I didn’t mind it in the madness of this city. Still, it was time to get the heck out of LA, so I kindly requested the GPS to direct me toward my home where I could load up some camp gear and get on my way. Moments later, I was following the vehicle’s lovely British accent to a weekend in the desert. The Discovery 5 has seating for seven. The first five are spacious, to say the least, but the back row is better suited for children or smaller adults. At 6’4” I wouldn’t want to ride there on a road trip. Not that you could anyway, because with the third row up there is no room for any sort of luggage inside. You’d be lucky to fit a small grocery bag, much less actual camping gear back there. Thus, I quickly folded the third row down, and while I was at it dropped the second row, which can all be performed by pressing two buttons at the rear of the vehicle. On the whole, I couldn’t really find anything to complain about. Nor could I find any issue with the cargo space. Just as the Discoveries before it, the D5 has a cavernous interior, with 73 cubic feet of space. You can pack a payload of up to a staggering 2,089 pounds, which by the way is significantly more than almost any other SUV on the market. It’s even more than the RAM Power Wagon. With the seats folded flat two people can easily sleep inside the back without feeling cramped. There are four conveniently placed tie-down points for strapping in bags and equipment, which worked perfectly for all of our camp and recovery gear. Once loaded, the air-suspension quickly compensated for the additional weight, leveling the vehicle and restoring its normal driving characteristics. This has always been one of my favorite aspects of modern Land Rovers. 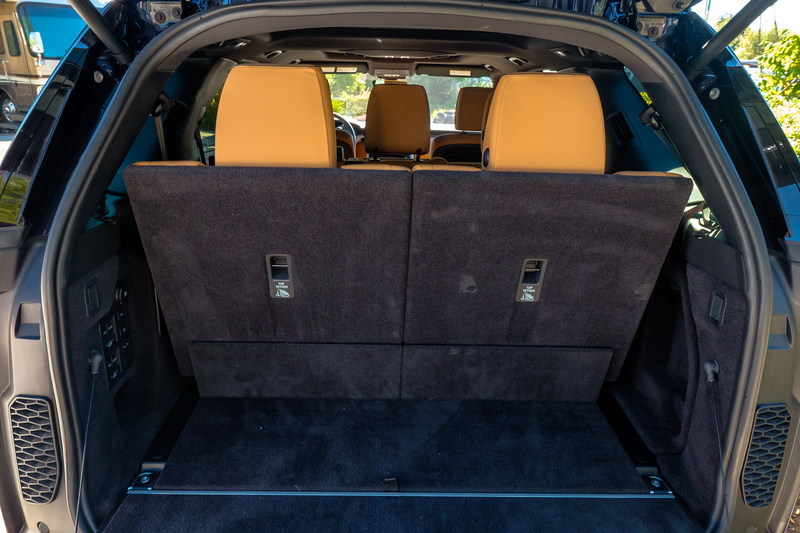 Their air suspension allows you to operate unloaded or at GVWR with equal comfort and no sagging or harshness, a massive benefit for those of us daily driving these SUVs. 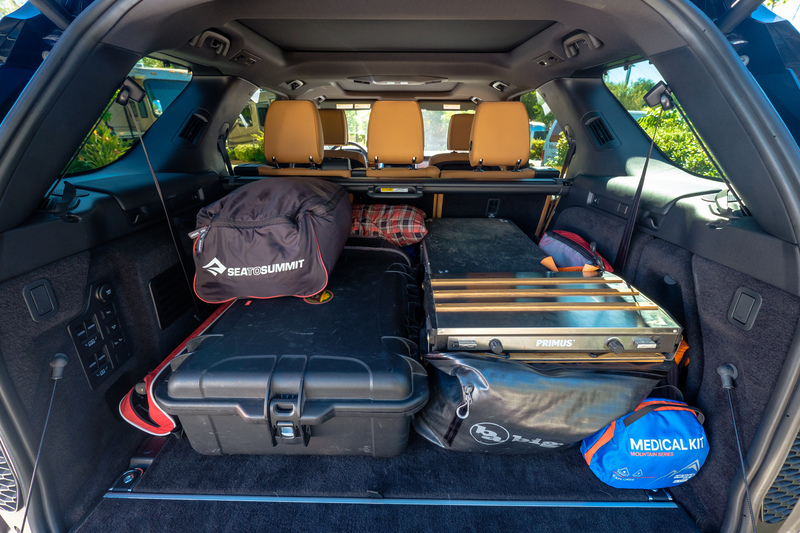 Instead of worrying about packing the perfect amount of weight to avoid the effects of over or underloading the vehicle, you can simply take whatever you need and let the Land Rover do the rest. Now I can guarantee that someone out there is ready to make a quip about field failures, but for all the grief people like to give their air suspensions, they almost always last longer than any of us would run a coil-sprung or leaf-sprung alternative. I mean, be honest, how many people actually run a suspension for 70,000 miles without service? I certainly never have. With everything secured, I fired up the truck’s 3.0-liter, turbocharged V6, reveling in the gentle thrum of the diesel. It was nearly silent in the cab thanks to the abundant sound deadening, but it still somehow felt right. I plugged in the directions and saw there were nearly two hours of twists, turns, and mountain grades ahead. Plenty of opportunity to evaluate this SUV’s handling on the pavement. 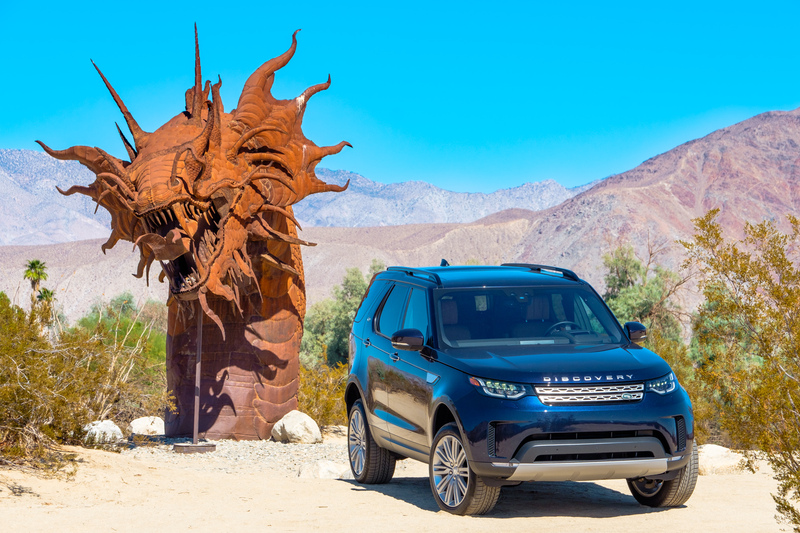 With that in mind, I threw the Discovery in drive and headed for Anza Borrego. It was less than 30 minutes before I hit the first bends in the road, and only minutes after that when I found a smile stuck to my face like the Discovery’s tires were stuck to the tarmac. In each perfectly sculpted corner, I would roll onto the throttle, letting the 8-speed transmission convert the diesel’s 254 horsepower and 443 pound-feet of torque to pure joy. It wasn’t blinding acceleration by any means, but the smooth and progressive pull was enough to keep me happy. As expected, the air suspension compensated for the additional camping supplies without issue, preventing the increased body roll you would normally receive on standard springs. Fuel economy was excellent, receiving an average of nearly 26 miles per gallon. This is largely due to the diesel, but also to the vastly improved aerodynamics and decreased weight of the new Discovery. Sometimes not looking like a brick can have its advantages. I peered through the windscreen at a man waving frantically from a Jeep TJ. I had a suspicion of what he wanted already, but I slowed the Land Rover and rolled down my window anyway. “Is everything alright?” I asked. He peered up and down the length of the Discovery, evaluating its capability, and as I expected, finding it unsuitable. He looked back at me, and with a little too much satisfaction in his voice replied, “you need to turn around, that thing won’t make it.” I tried not to grin. Now it was my turn to feel a bit smug. 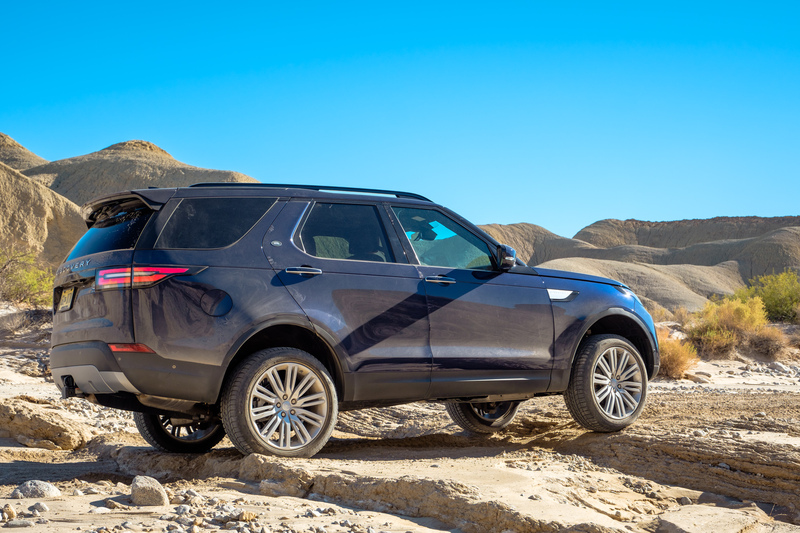 “Don’t worry, it’s more capable than it looks.” I clicked the air suspension up to the off-road setting, raising the Discovery to an impressive 11.1 inches of ground clearance. Coincidentally, it raised the man’s eyebrows an almost equal amount. I looked back at him and said, “It’s got a locker, and I am carrying plenty of recovery gear and a tire repair kit. Thanks for checking on me though.” I waved my thanks and headed off down the trail. Despite my confident retorts, I was actually a tad worried about what lay ahead. 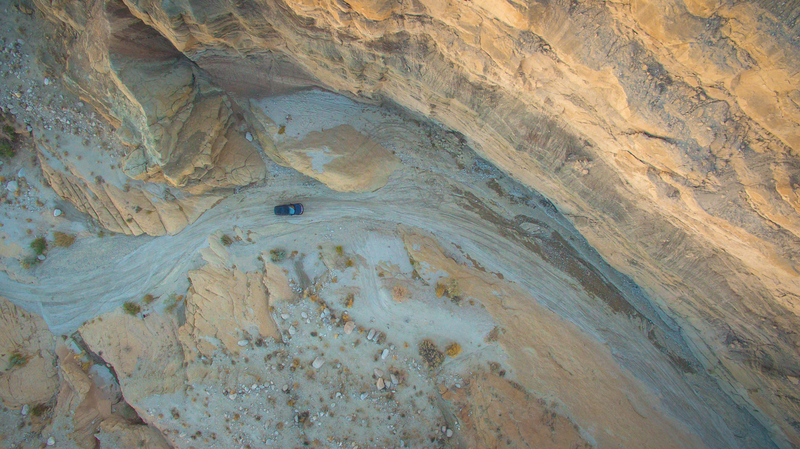 I doubted traversing the obstacles themselves would be an issue, but the sharp rocks and debris littering the wash was another story entirely. This HSE Luxury package was equipped with ludicrously large 21-inch wheels wrapped in paper-thin 275/75/R21 road tires. While they’re enough for most people, I couldn’t help but feel like I was tiptoeing on balloons through a pin factory, just waiting for the inevitable pop. This feeling only deepened when I began navigating the canyons. With the tires aired down to 25 PSI, I couldn’t stop imagining a rock carving through the sidewalls like a hot knife through butter. It was unsettling. I did have one HUGE advantage in my favor though, the Drive Assist camera system. 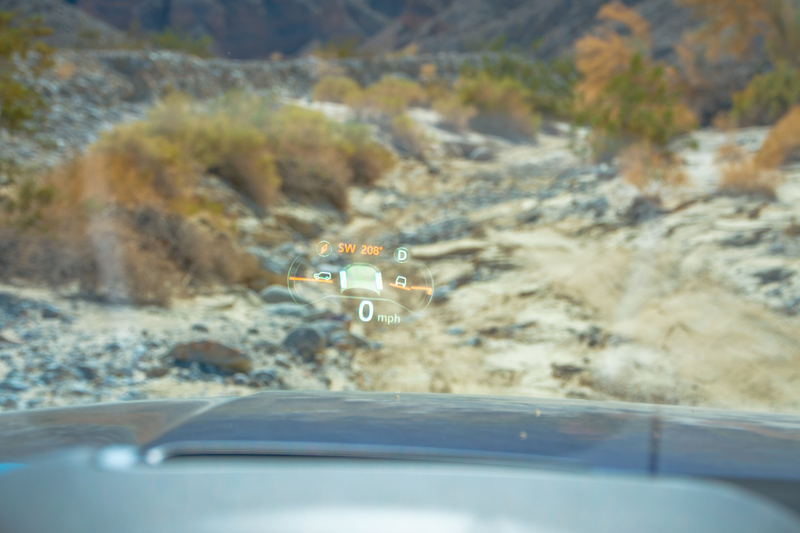 When placed in this mode, cameras in the nose and mirrors project a view of the trail in front of you onto the infotainment system. This allows the driver to self spot, guiding the wheels and tires through the most narrow of margins. It undoubtedly saved my bacon several times on the trip, and prevented the wheels from acquiring any trace of rock rash. Something for which I, and I’m sure Land Rover, are extremely thankful. 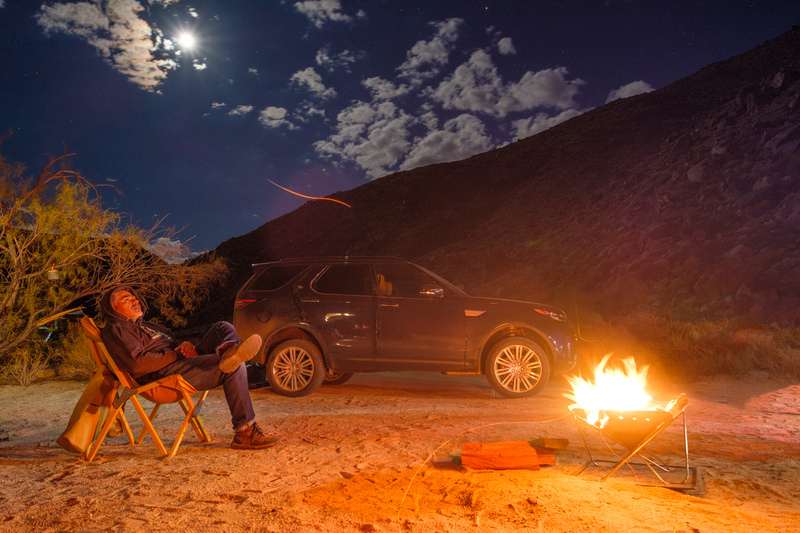 Once I had a few miles behind me, and felt confident the tires weren’t going to deflate on the next rotation, I was able to relax a bit and get a feel for the Discovery. The ride quality was excellent, and I was pleased to find that it was still relatively smooth in the off-road height, which usually feels rough due to the air suspension operating at higher pressures for maximum lift. At 30 mph, the Discovery soaked up ruts and bumps with ease, while corrugations were nigh imperceptible. 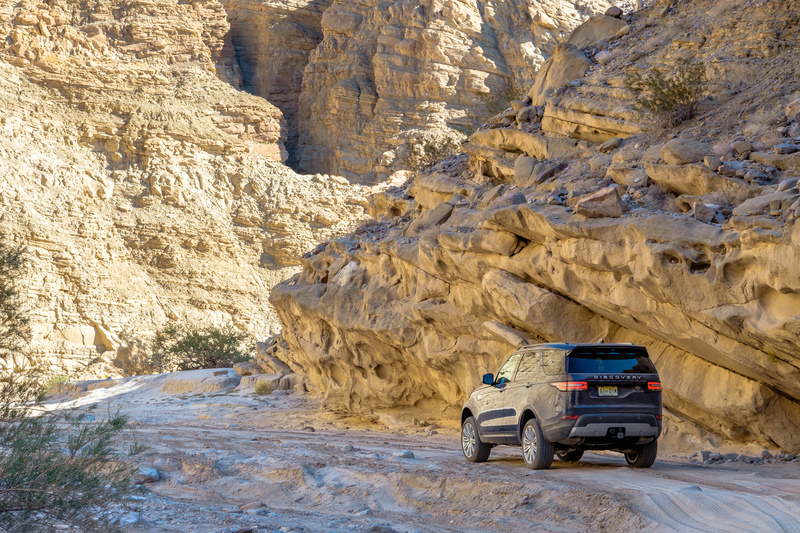 With the radio playing, air-conditioned seats on, and massaging features fully engaged, it was unlike any four-wheel drive trip I had taken before. Not that I was complaining of course. Rolling through the desert I was completely relaxed, and the Discovery felt like it was in its element. It floated through the soft washes with ease, utilizing the Terrain Response 2 system to map engine power in a perfectly timed symphony of adjustments toward the wheels. 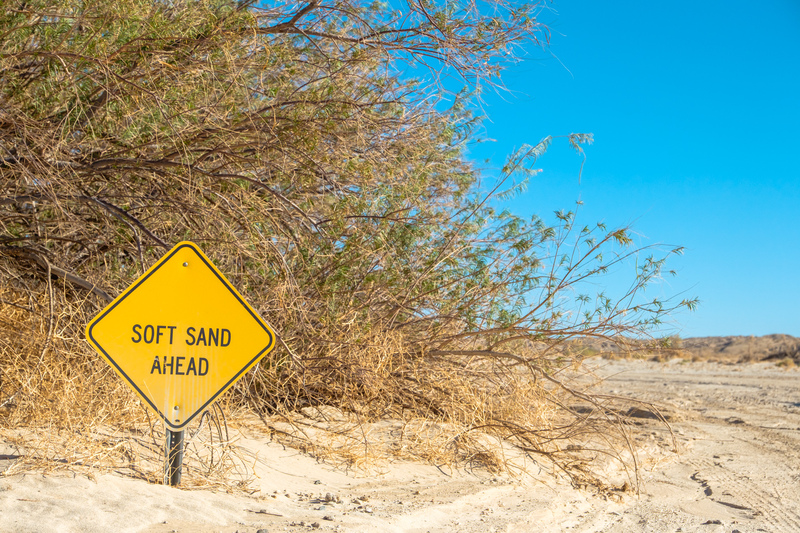 To anyone driving the vehicle, this trail seemed like a cakewalk, but as I passed smaller vehicles bogged down in the sand I knew that wasn’t the case. 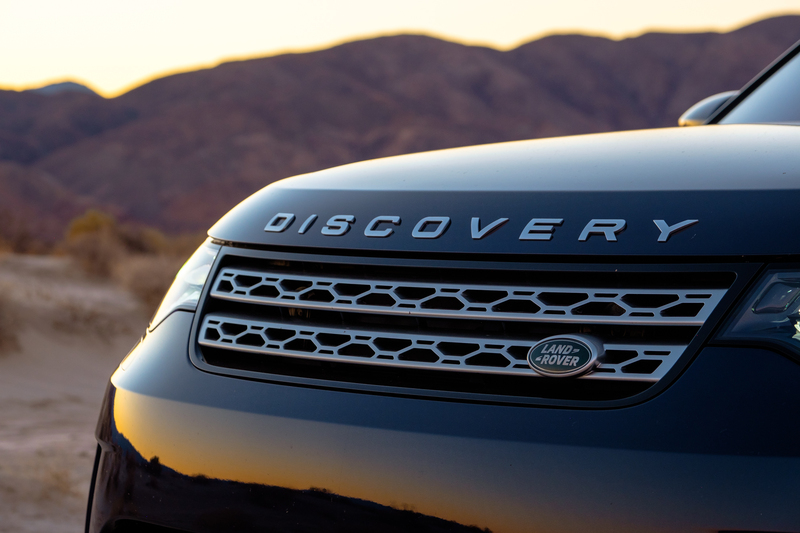 The Discovery was simply making it look easy. 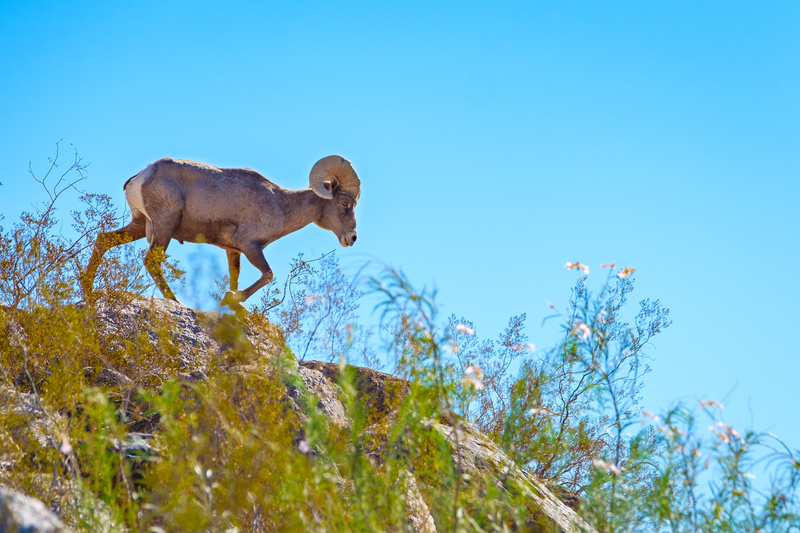 That provided more time to talk, more time to enjoy the scenery, and more time to spot the amazing wildlife living all around us. The relaxed drive changed pace when a series of more technical obstacles arose. Since I was operating solo, I couldn’t afford to screw things up, or it would be a long walk home through the desert. I tapped the suspension to off-road mode, giving the Discovery 11.1 inches of ground clearance, an approach angle of 34 degrees, departure angle of 30 degrees, and a breakover angle of 27.5 degrees. These aren’t Jeep Rubicon numbers, but they are some of the best on the market. 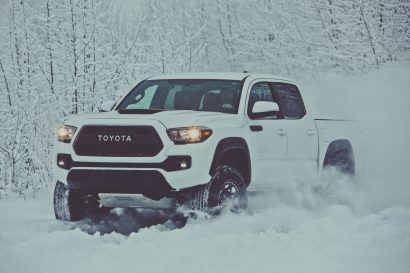 Compare them to the TRD Pro 4Runner’s figures for example, with its 9.6 inches of ground clearance, a 33-degree approach angle, and 26-degree departure, and you’ll find the Discovery holds a clear advantage. But tackling the terrain ahead was going to be about more than just clearance. 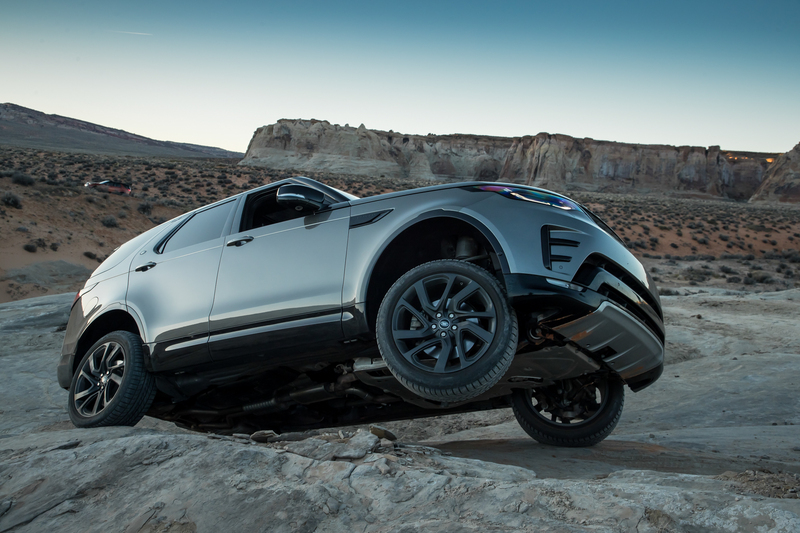 The Disco would need to prove its traction aids and suspension were up to the job. Rotating the Terrain Response 2 system to rock mode, I pointed the Discovery toward the boulders and let the vehicle slowly walk up and over them one at a time. The torque from the diesel felt perfectly paired to the 3.21:1 gearing, allowing the truck to creep through the terrain instead of requiring a heavy combination of throttle and left-foot braking. Control through the meat of the power-band was excellent, with a smooth and predictable response, and little surge from the turbo. It didn’t feel like a luxury car trying to be an off-roader. In fact, it felt really, really good, like it was designed to be there. Of course, the cross-axle obstacles still lay ahead, and I knew the Discovery 5 had less articulation than any generation before it. 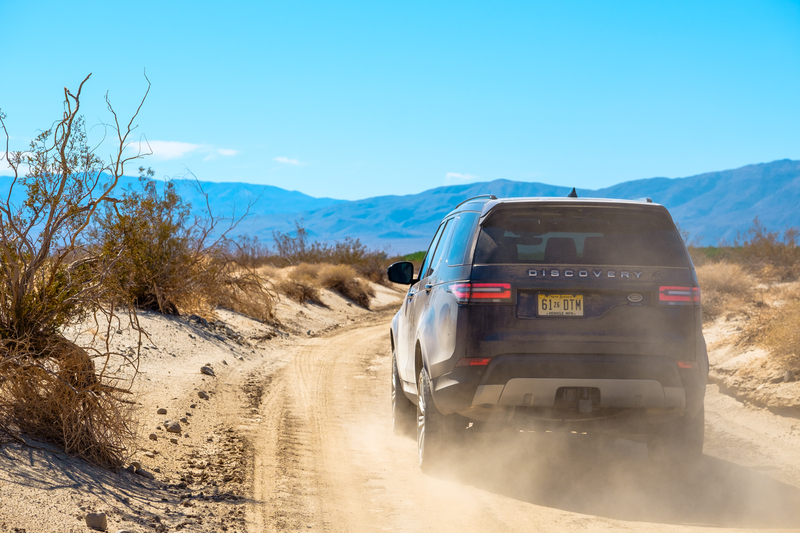 At 20 inches of total wheel travel, it was at a 3.6-inch disadvantage compared to its predecessor the LR4, and I wondered how that would affect its performance. I didn’t have to wait long to find out. The first time I was able to experience the truck’s articulation was on a simple drop into a wash, which ran at an angle to the road. 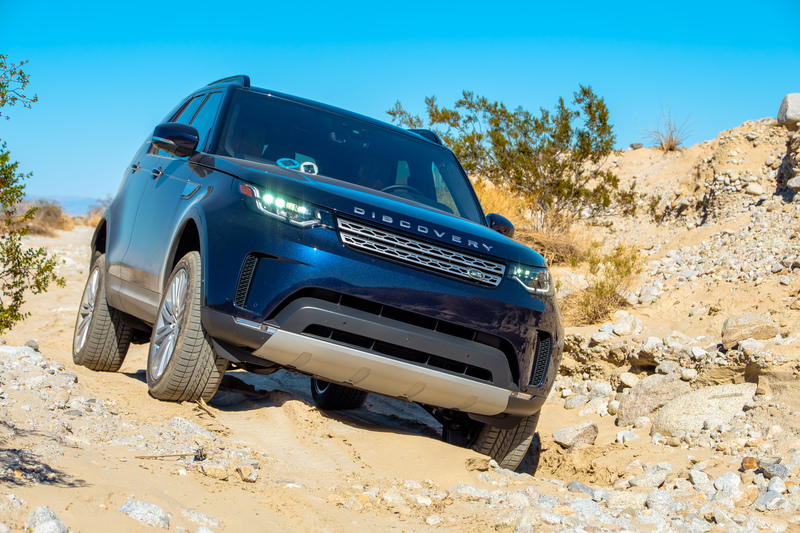 The Discovery dipped its front end in, articulating with some minor groaning as the airbags exchanged pressure through the compression and extension cycles. It nearly reached the limits of its wheel travel, but was able to keep all four tires on the ground. As the obstacles became larger though, I realized that this Landy simply didn’t flex like I had hoped, and certainly didn’t feel like the Rovers of old. It would climb the obstacle, and lift one or two wheels high in the air before settling to the other side. It was somewhat disappointing, but not unexpected. The reduction of articulation while increasing traction aids has become a component of Land Rover’s formula. 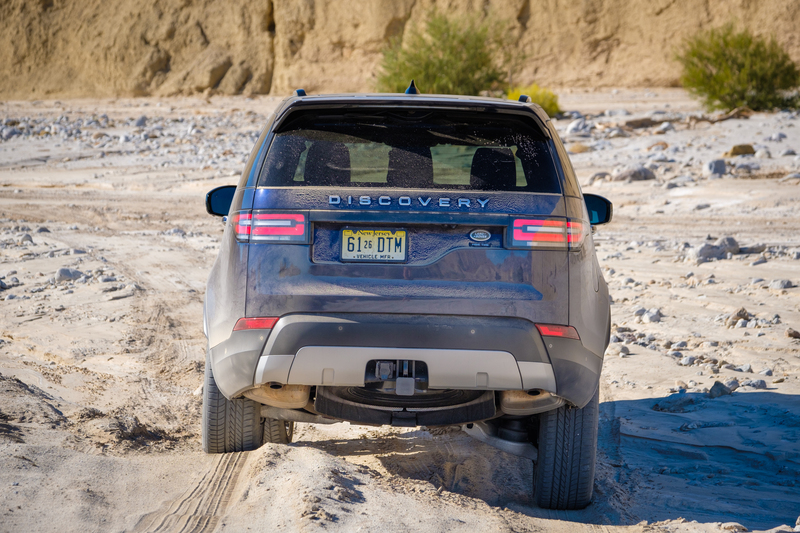 When the original Discovery was released, it combined capability with luxury in the only way it could, with loads of articulation and only the center differential lock. These trucks were capable without a doubt, but sports cars they were not. Tight turns and twisty roads induced substantial body roll, and drivers needed to be well aware of the vehicle’s limits.. As technology advanced though, Land Rover was able to improve the Discovery’s road manners drastically while still allowing it to tackle difficult terrain through computer-aided traction control systems and clever suspension designs. Total articulation may have been sacrificed, but in most ways, capability was not. Which explains why this Discovery never failed to tackle an obstacle, and rarely faltered or slipped while it did so. The terrain response programs reacted to each unique situation, and when things got serious, the automatic locking rear differential was there to finish the job. Despite my longing for solid axles and coil springs, I couldn’t deny that this Land Rover was still a Discovery off-road. 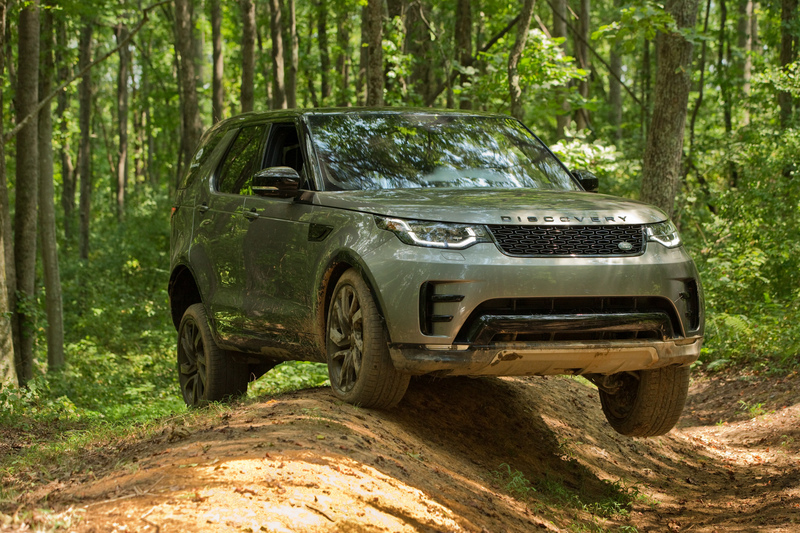 One of the biggest points of contention with Land Rover purists is the Discovery’s departure from body-on-frame design to an aluminum unibody with the Series 3. Sure, it sheds weight, but structurally is it as sound? 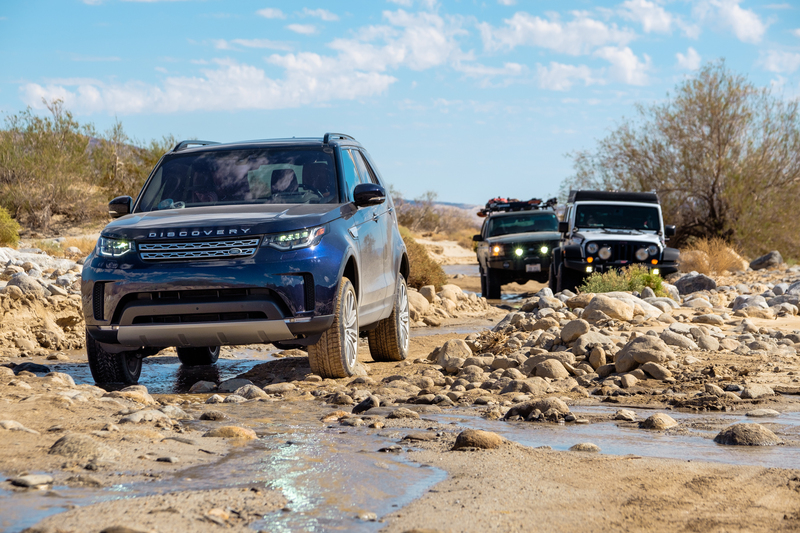 Well, we wondered the same thing, so we decided to go straight to the source and ask Land Rover how it compared to the previous generations of Discovery. Their response was simple, and to the point. 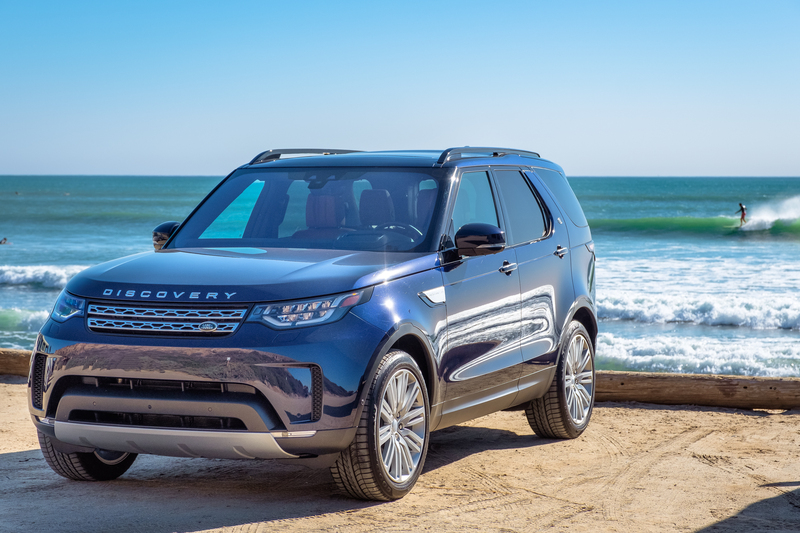 The new Discovery uses “aerospace levels of aluminum manufacturing and engineering,” it is “the stiffest Discovery we’ve ever done.” The platform uses a lightweight monocoque body constructed of 85 percent aluminum, 43 percent of which is recycled for sustainability. The underside of the vehicle is pressed from a single piece of aluminum providing the truck with greater structural integrity and longevity. It’s then fused together in a similar fashion to modern aircraft, giving it immense strength in all conditions. The suspension architecture is then mounted on the front and rear steel subframes, which provide “high levels of stiffness for enhanced steering response, chassis performance, and greater refinement.” These are also specifically designed to withstand off-road impacts, as well as provide additional protection to the chassis and powertrain. 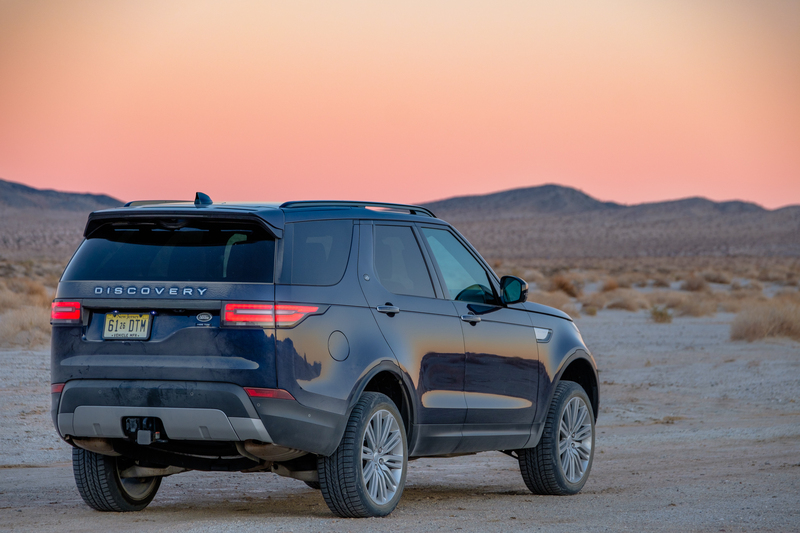 Coming from a background in aviation, I can say that the methods and materials used in the Discovery’s production appear to be top-notch, and should indeed be strong enough to withstand any amount of off-road travel you put it through, but there are still some disadvantages. The biggest of which is a lack of aftermarket support, due to the immense difficulty of working with an aluminum unibody, independent suspension, and integrated plastic bumpers. Products like bumpers, sliders, and skid plates that normally bolt to the frame are difficult to design for the D5, and that is a disadvantage for some enthusiasts looking to build an off-road or overland vehicle. Slowly but surely, some options are coming out, but they will surely be fewer and farther between than what was available for previous generations. So is the Discovery Dead? After several days on the trails, some more time carving up mountain roads, and a few nights sleeping in the cargo space, I found myself cruising back towards Los Angeles, contemplating the nature of the SUV around me. There was no question that it was an entirely different animal than the Discovery I had first fallen in love with years ago. It was faster, more fuel efficient, easier to drive, and so comfortable that I really can’t even compare the two. Yet it also has less articulation, a much smaller pool of aftermarket parts, and prohibitively large wheels making overland travel difficult. Of course, I knew all of that going into the test. The real question was, did it capture the spirit of the original Discovery? The answer, I’m happy to say, is yes. Although different, the Discovery 5 is a shockingly effective 4WD, and without a doubt more capable in most conditions than the original on which it was based. 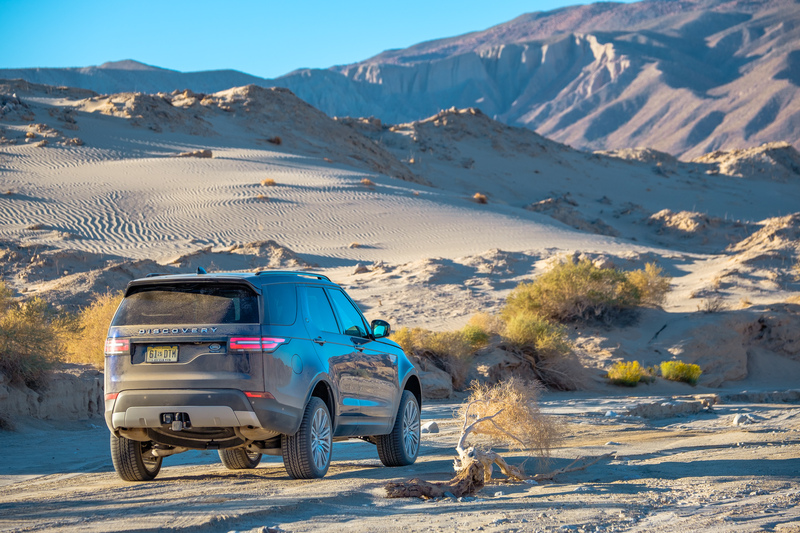 The enthusiasts may not all be embracing it yet, but just as they did with the Discovery 2, LR3, and LR4, they almost certainly will as the magic intersection of falling resale prices and available accessories meet. 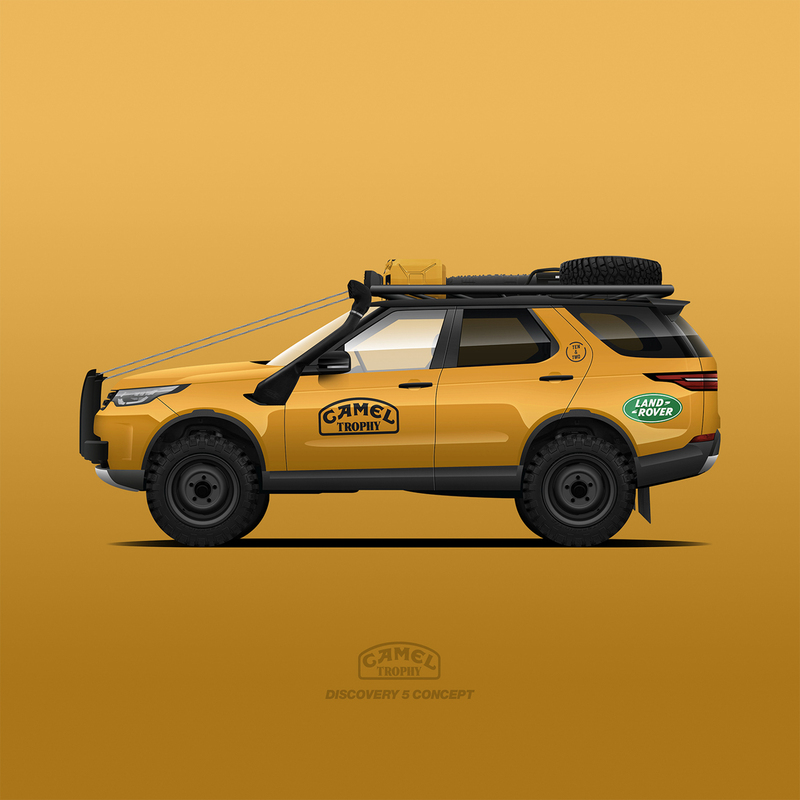 In the meantime, maybe we can convince Land Rover to revive the Camel Trophy, as it seems time once again to prove their vehicles are capable of going the distance in remote and rugged terrain. Besides, we think they look rather good in Sand Glow. Above rendering by Matt Hoss. Follow more of his amazing work at 10.and.2 on Instagram, or his website project10and2.com. 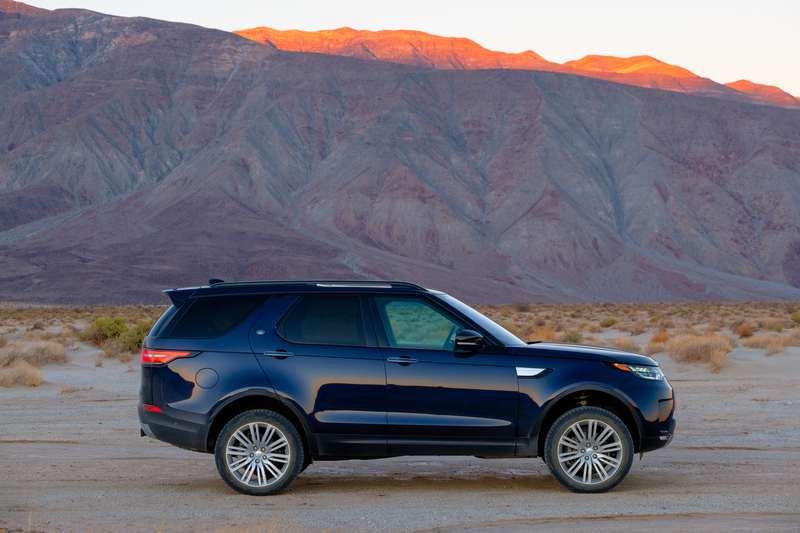 To learn more about the Land Rover Discovery, visit the Land Rover website here. Having owned two Range Rovers (classic and P38), a DII and, currently a ’95 Defender (from new!) and (ahem) a ’05 G-wagen, I guess I can comment. 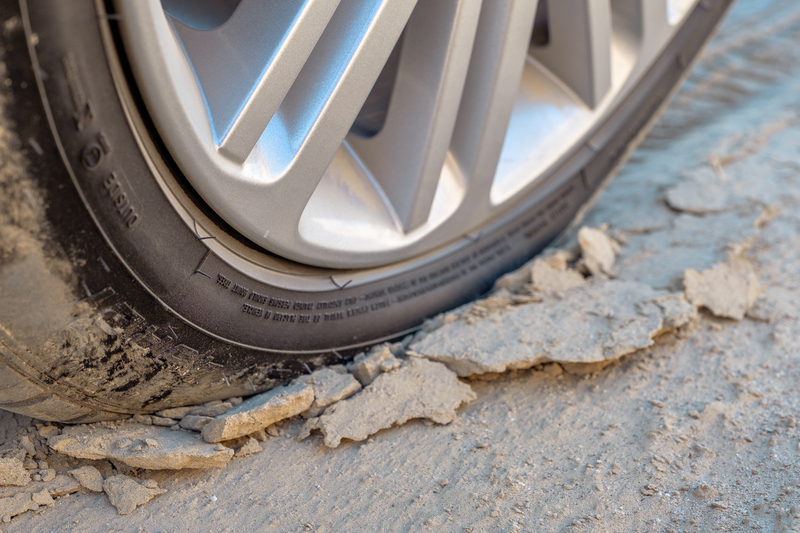 If you cannot put decent tires on (say) 17″ wheels, it cannot be considered an off-road/expedition vehicle. You got lucky! 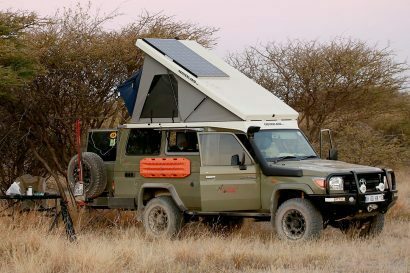 In their comparison of the disco with the new G-wagen, a Rubicon and a Lexus version of the land cruiser, they praised the disco’s unflappable nature, until they got a flat tire and found they had only a space-saver for a spare. that said enough for me as to the intentions of Land Rover (and their perceived customer base). Did you check the spare before venturing out alone???? Thankfully some aftermarket 18” wheels are available and there’s an option/room for a full sized spare. I’ve owned some similar vehicles (icluding my go-to ‘93 G300) and my D5 is by far the most capable of the bunch. Interesting write-up. For me when evaluating a vehicle in the overland/adventure segment, raw off-road capability is actually a relatively small part of the equation. 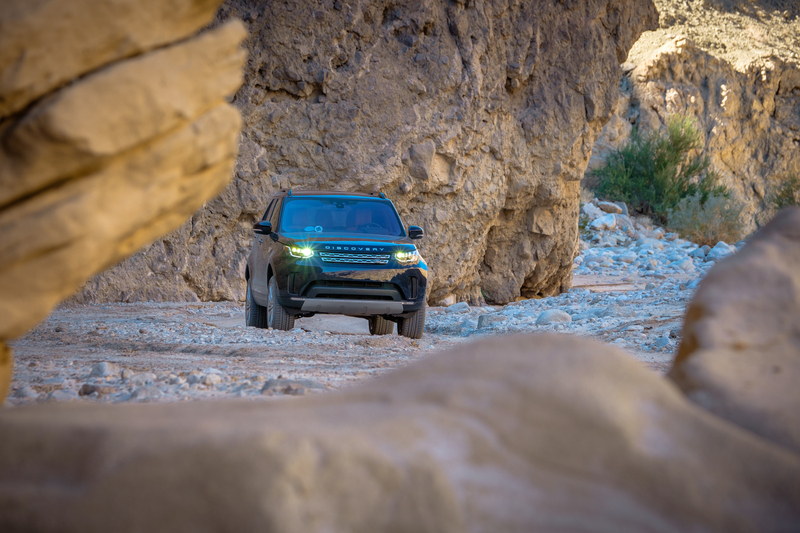 There’s no question that off-road capabilities of the Disco 5, particularly on a reduced rim size like 19″, are going to knock the spots off most pickups, which are becoming increasingly popular. Sure it’s no JL Rubicon, but that’s actually a vehicle in a different segment altogether. The reason pickups and lesser SUVs are increasing in popularity is that they satisfy the other bits of the equation much better, those being: ruggedness, low complexity (and hence increased reliability), low price, ease of modification, etc. For me the high entry price of the Disco and the high price of damaging it makes it a non-starter as a new vehicle, and the complexity and er, Land Rover reliability makes it a non-starter as a used vehicle. How are you measuring wheel travel? 20-inches of vertical wheel travel would be a very impressive number, especially considering that the best Jeep JK aftermarket suspensions only create 14-inches. Did you crawl under the front? There are radiators in front of the front wheels and as low as the front bumper. Toss 21″ rims and 4″ less articulation and there is very little redeeming value to the overlander of selecting a D5 vs an LR4 or even a 200 series cruiser or LX570 for that matter. And this is coming from ‘fan’ who owns two Land Rovers. I’m just waiting for the 2020 Defender to reveal itself as an expensive mall crawler and then my move from Rover to Toyota or Jeep will be complete. :(. I own one of these, and I can say without qualification that it is a superb off-road expedition vehicle. Mine is a 2017 HSE Td6 with the Terrain Response 2 system. It came with 20″ wheels, not the 21″ ones shown on this vehicle. I will confirm that the OEM Goodyear street tires are great for the road, but they are purely compliance tires – what LR needed to fit to generate the EPA and EU6 fuel economy numbers. One rock drill from a stone the size of the end of my pinky and I tossed ’em for a set of decent AT tires, with some more sidewall than the OE’s. With a good set of tires, the capabilities of this vehicle shine. Some aftermarket suppliers are running this vehicle with 18″ wheels, which allow a much more off-road friendly 65-series sidewall and a 32″ outside diameter. 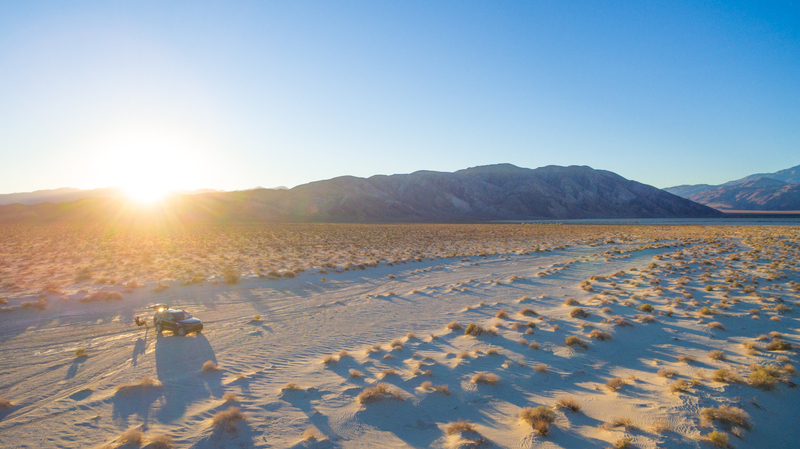 The diesel is the engine to have if you plan on overlanding or off-roading…gobs of torque, and it’s (mostly) the same engine that Ford is now using in their F150 under the PowerStroke branding. 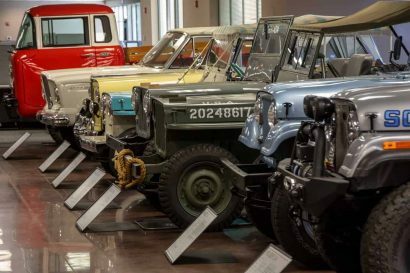 For those complaining that you can’t modify it…the average Land Rover was never seriously off-roaded on average until the 3rd owner – they were never that cheap to begin with. 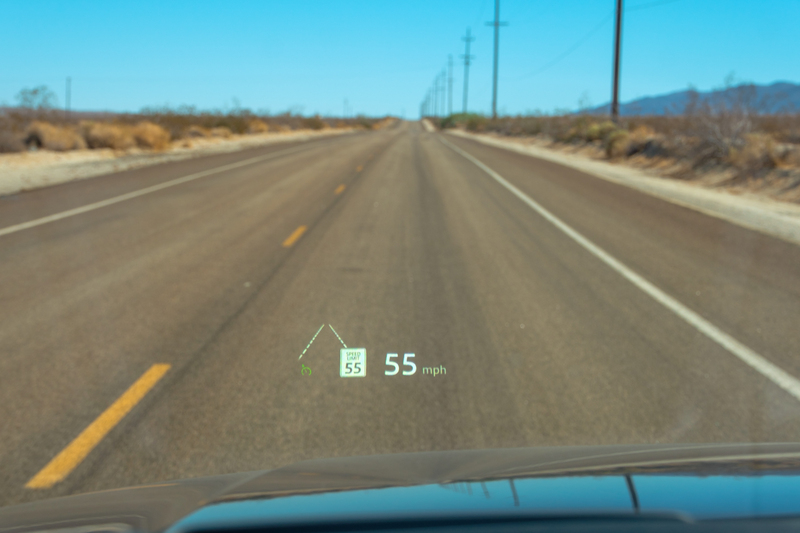 But the aftermarket is pivoting to this platform, and it is a good one. I do enjoy seeing Jeep owners pick up their jaws as I wave back in feigned ignorance and then surmount the very obstacles they believe are impossible in this vehicle. The main problem with the 3rd owner concept (which is 100% true) is that I would be very hesitant to use one of these with a few miles on them for reliability and the parts are going to be ruinously expensive. Remember cars depreciate…new parts don’t. I know i may sound like a fanboy but in truth if you offered me an 80,000 mile D5 for the same price as a 150,000 GX or Land Cruiser…its the Land Cruiser in a heartbeat. Im being facetious of course…the Land Cruiser would need to have 200,000 miles to reach the same level of depreciation as an 80,000 defender. It’s interesting to read reviews like this. I understand the love of the brand- I can’t tell you how tempted I keep getting to buy something like this, because of the lore BUT, that Land Rover reliability! Sure, who wouldn’t want to take this thing out for a few days, with all of the lux- despite it’s terrible curves it’s actually a nice looking vehicle. I think the new Defender will only look better, but how in the world could I ever trust it long-term? Even IF Land Rover makes the Defender where ARB and others will actually make after market parts for it, why would I sink $60-70+, then another $10 or 15+ in accessories (lift, rims, tires, rack, bumpers, winch) to be scared to death of this thing after the warranty period ends. I really wish they’d get it together. In the meantime Jeep is closing the gap on the niceties- leather, heated, power everything and the ride of the JL is much better although still not Land Rover nice. At the end of the day, I have to err on the side of a Jeep JL for simplicity and now a very nice degree of luxury or else a Toyota LC200 for reliability and capability- although a little dated. Each has their own sacrifice, but of all the sacrifices I can make- shoddy reliability in one of the most expensive packages with non-existent aftermarket support is one I just can’t do yet. If Land Rover would get the reliability together, if they would build a vehicle the aftermarket was willing to do anything with it’d be a real contender. Until then I just can’t see it, no matter how many stories I hear about how great they used to be in Africa or in the Camel Trophy 40+ years ago. I like the suspension qualifier 🙂 we are a two land rover family, well I guess three now. My wife has a 2006 LR3, she just bought a 2016 LR4, I have a 2007 L322 (full size range rover). I was just thinking about the air springs, we are selling her old LR3 and I was thinking to mention to potential buyers that its likely time to buy new air springs as they are all original and 13 years old and its economical and convenient to do it all at once. The shocks would still be fine as they do much less damping with air springs, air springs are just slightly more than what regular springs cost. In all this time we had two suspension faults, one of which was a compressor that was changed at Land Rover that I’m not so sure was bad and a ride hight sensor. Both times she drove just fine but had speed limited, suspension lowered to bump stops but full steering use etc. This car has always started, ran and made it to its destination, now to be honest it only has 123,000km on it though. My range rover had one suspension fault, front airbag blew, I drove 150km back home no problem and replaced the strut, mine has 218,000km. Alternatively in 2007 when the front strut broke on my 2002 toyota tundra it had to be flat bed towed, not going anywhere. 88 chev 4×4 I had front of rear leaf break at about 6 years of age at highway speed (don’t slam on breaks when you hear loud thud :)) and I don’t even want to describe the damage that did. I think anyone worried about this should simply factor air spring replacement costs into purchasing like an 8+ year old land rover ($1000 ish) and a gap tool for anything newer 😉 Don’t like the LR5 at the moment but I’m sure I will nothing wrong with unibody, Sprinter vans are unibody and look at the weight they can tow and carry, L322 is unibody also. 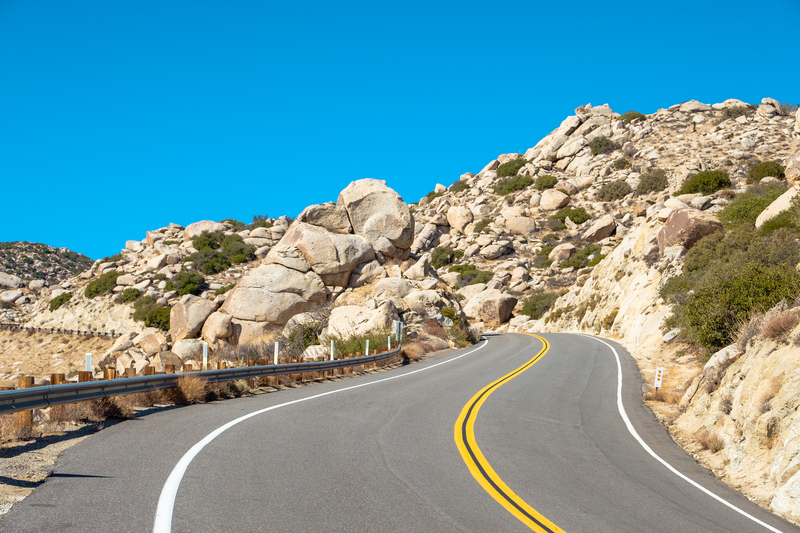 What Canyons and trails were used for this road test? I’d love to explore there sometime. Interesting review! Haha, jeep guys are like that; half of ’em figure you can’t drive a graded forest road in anything short of a Wrangler on 37s. Nice truck. I share the concerns about cost, aftermarket support, and the stock wheels. 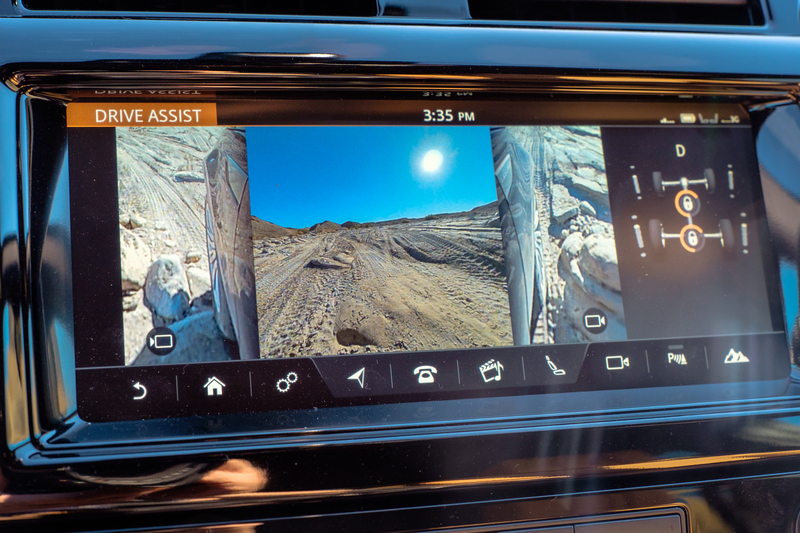 The “Drive Assist” camera system looks wonderful; I’d love to have something like that in my Toyota. I imagine you meant 275/35R21 tires? if the 275/75R21 existed that would be one sweet 37″ tire. 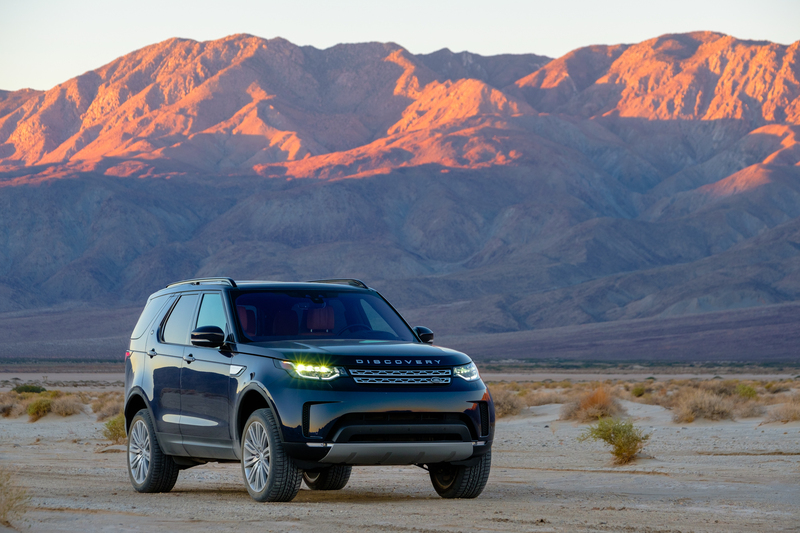 It would be a good off-road vehicle, it’a a pity that in Europe there are no approved off-road tires for the New Discovery, and Land Rover does not want to homologate the rims that could mount them. I had to keep the old and very good Discovery 3!